© 2015 Petosu, Kodansha Ltd.
Tetsuo Takahashi is a teacher working at Shibasaki High School and specializing in the physiological studies of demi-humans. His students include Akira Takanashi, a vampire and lover of tomato juice; Kyōko Machi, a dullahan; and Yuki Kusakabe, a yuki-onna. The school also employs math teacher Sakie Satō, a succubus. 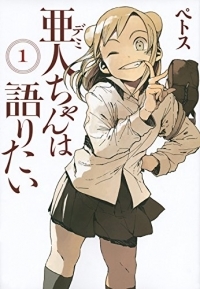 You thought deeply about the manga “Interviews with Monster Girls” and now you think it’s time to put these thoughts into words and to do so in a well-structured form? Then now is your chance to be the first to share your review about “Interviews with Monster Girls” with our community by creating a review thread for it and posting your review there. Use the button below to quickly create the thread! You want to share your opinion on the manga “Interviews with Monster Girls” with other members of our community, but you don’t really have enough to say about it to fill a whole review? 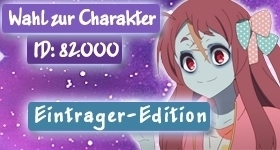 Then don’t hesitate to create a comment thread for “Interviews with Monster Girls” using the following button and be the first to share your thoughts! Release Date: 05.09.2014 ‑ ? Release Date: 01.11.2016 ‑ ?